We spent the bulk of our Baja trip in a fishing town called Bahia Asuncion about halfway down the peninsula on the Pacific Coast. The town itself is somewhat drab and utilitarian rather than charming, but the landscape around it is fascinating. It’s incredibly austere — none of the plants are over waist high, they’re widely spaced, and none of them had foliage while we were there — and I was at first a little unsure about the place as a vacation destination. But it grew on me, as desert landscapes tend to do, and the beaches are fantastic, endless and empty of other people. 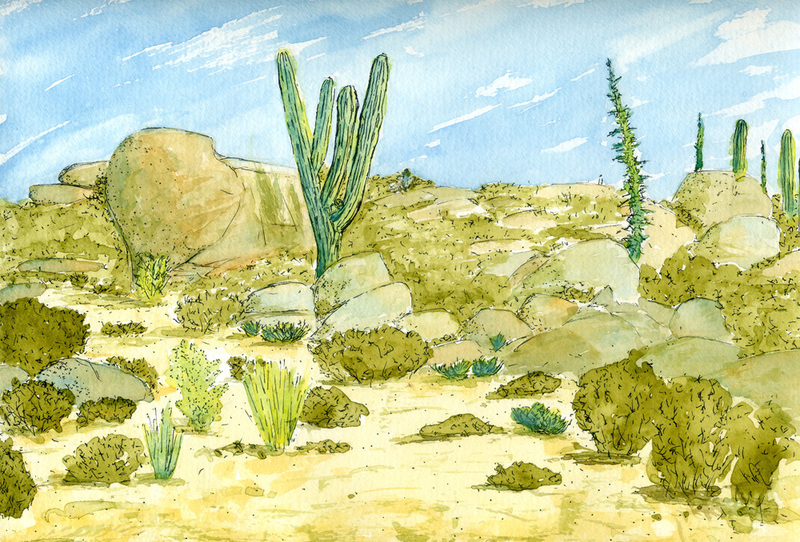 I made about a dozen watercolors while I was there, doing the sketch on site during the day and then adding color during the evening. 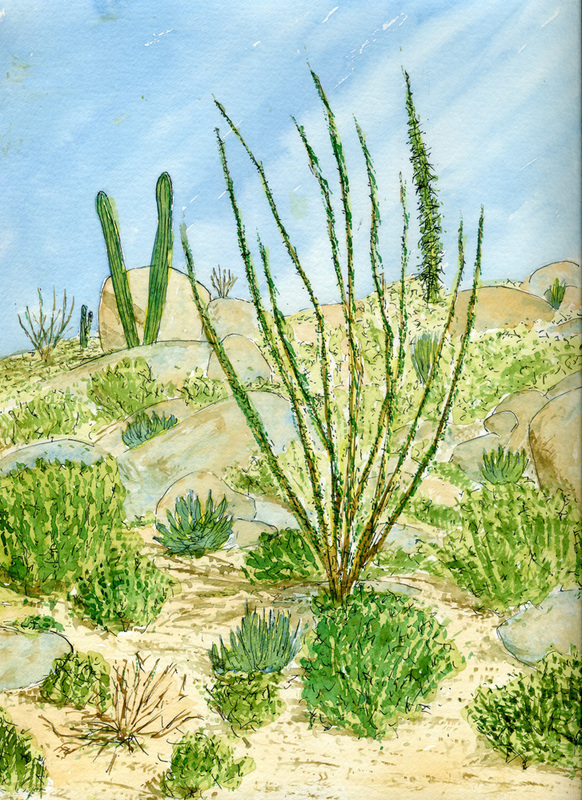 I also made two watercolors of the central desert we drove through to get there, Ocotillos, Cardons, and Boojums in the boulder gardens. 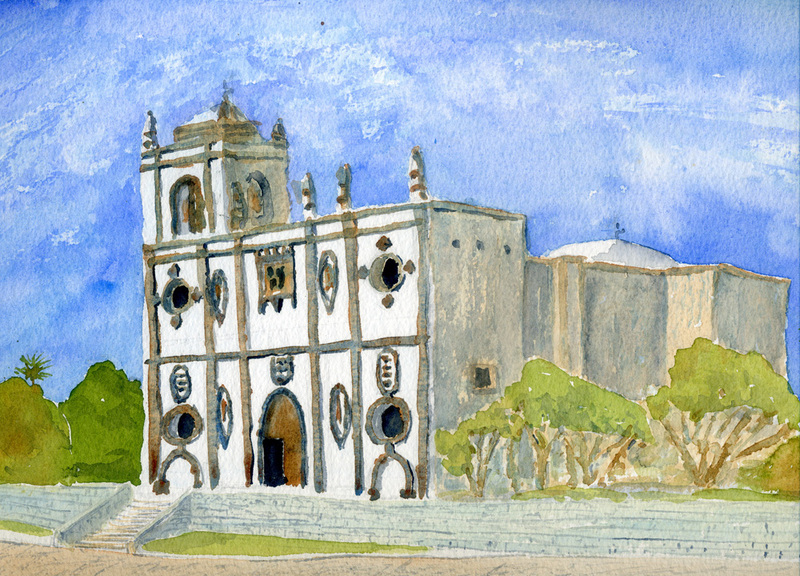 And I did three watercolors of the missions. 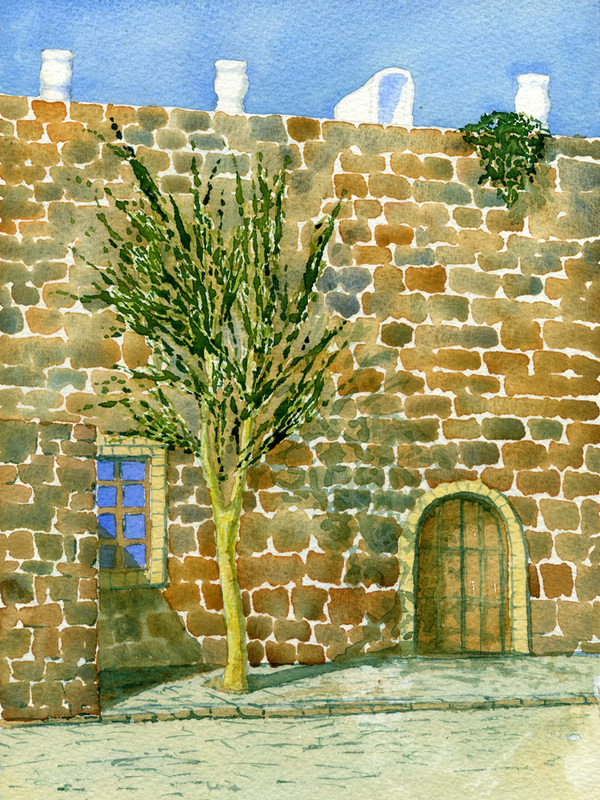 One of an Elephant Tree at Mission Mulege. 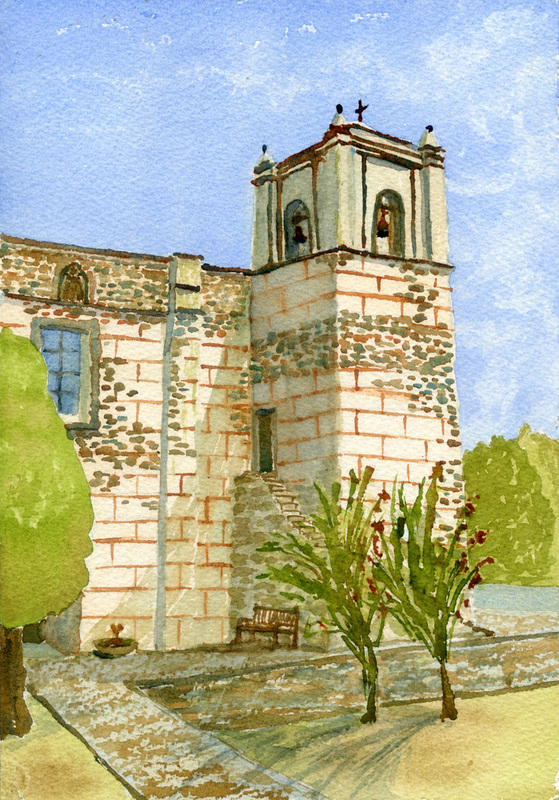 And two at Mission San Ignacio. This entry was posted on Wednesday, March 30th, 2016 at 7:54 am and is filed under sketchbook. You can follow any responses to this entry through the RSS 2.0 feed. You can leave a response, or trackback from your own site.